From designs for swimming pools, summerhouses and luxury holiday resorts, to travel sketches and drawings of all that grows and blossoms. 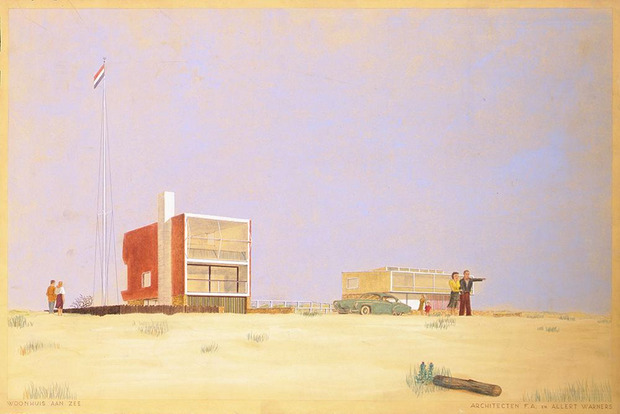 The exhibition features the Sporthuis Centrum summerhouses by Jaap Bakema, the beach house by F.A. 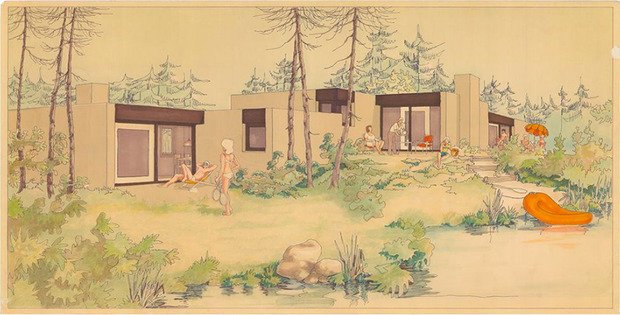 Warners, and a garden design by Romke de Vries, but also a lazy beach scene by Koen Limperg, the frivolous bathing caps by Henry Wijdeveld, and a drawing of the faint light of a summer evening by Michel de Klerk. ‘Summer Dreams’ is the first in series of changing presentations of objects and documents from the archive and library, curated by archivist Alfred Marks. Based on various themes, he selects drawings, photographs, objects and models from the collection in an associative manner, with special attention to more autonomous drawings and the personal documents of architects and urban planners.